This excerpt is from “Chapter Nine: Creativity,” which offers insights and tips to help you stay inspired and creative as a writer. The excerpt I’ve chosen presents ten myths about creativity. These are notions about creativity that people assume, even though many of them are counterproductive to creativity. There’s an old myth floating around, which suggests that creativity is inherent. You’re either born with it or you’re born without it. But creativity can be learned and developed over time. Some people may have a more natural inclination toward creative thinking, but anyone can foster and nurture creativity. Artists throughout the ages have gone to great lengths and sunk to fathomless lows in pursuit of inspiration. The ancient Greeks personified inspiration in the muses. When they needed inspiration, they invoked these supernatural entities, calling on them for artistic help. Artists have set out on journeys, pursued spiritual and religious activities, and engaged in painful or unhealthy experiences in order to feed their imaginations. Indeed, there are famous examples of authors drinking themselves to death or committing suicide, and of course, there is the well-known tale of Vincent Van Gogh cutting off part of his own ear. And finally, there’s the ever-present stereotype of the starving artist. Despite these tales of suffering and tragedy among authors and artists, the most successful creative people tend toward more practical measures, choosing lifestyles and habits that are healthy and conducive to creativity. 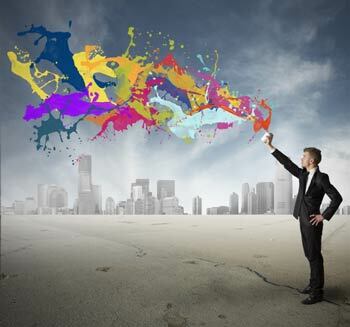 Unfortunately, these destructive myths about creativity persist. 1. Drugs and alcohol: One of the worst myths about artistry is that drugs and alcohol promote creativity. That’s a lie. What drugs and alcohol do is promote dependence. It is ineffective and inefficient to rely on these substances in order to make art. It’s also unhealthy, and in fact, it can be deadly. 2.Misery: Another common myth is that pain, sorrow, and anger are the best conduits for creativity. Sure, when we are unhappy, writing can provide a healthy, therapeutic outlet. But this has nothing to do with creativity and everything to do with the need to express oneself. While misery may indeed inspire us, we can be just as inspired by happy or emotionally neutral experiences. Relying on a depressive state of mind for inspiration is just as dangerous as relying on drugs and alcohol. And like drugs and alcohol, such thinking is unhealthy and can be deadly. 3.Suffering: This myth is based on the idea that artistry is won through suffering. Some people actually believe that artists should suffer, and suffer hard, before they get to succeed. What you have to do to succeed is work hard. You shouldn’t have to suffer. 4.Divinity: There are less dangerous myths about creativity and inspiration. Some people believe that creativity makes a divine appearance only when they are supposed to create, and the rest of the time, they shouldn’t bother. We all have moments of great inspiration. They come and go and are rare for most of us. The most successful writers don’t wait for inspiration, they work for it. Regardless of our religious or spiritual beliefs, we can learn to control our own creativity just as we control other aspects of our lives. It’s called free will. 4.Talent: Lots of people believe that creativity is inherently tied to talent. Talent just means you have a knack for something. Lots of creative people may not be especially talented, and there are plenty of talented individuals with no interest in pursuing the arts. 5.Two kinds of people: Some people are artistic; everyone else is not. That’s definitely not true. Everyone is creative, and the more we nurture and foster creativity, the more creative we become. Creativity is closely associated with the arts, but artists aren’t the only people who are creative. 6.Life of poverty: Many people believe that it’s practically impossible to succeed or make a living as any kind of artist. They mistakenly believe that an artist’s life is one of poverty and struggle. All kinds of people experience poverty—not just artists—and artists who do experience poverty don’t do so just because they are artists, as is proven by the many artists who never struggled with poverty. 7.Fame and fortune: Conversely, some people believe that artists will enjoy great fame and fortune. While it’s possible that you could write a wildly best-selling novel and become rich and famous, it’s not likely, although the odds are better for you than for someone working in a cubicle-eight-hours a day who doesn’t make any art at all. At least you have a shot at fame and fortune. 8.Creative people are weird: everybody’s weird. 9.Creative people are creative all the time or whenever they want to create: Once you’ve shown yourself to be creative, some people will think you’re capable of doing anything that requires creativity or that you’re a constant fountain of ideas. While many creative people have more ideas than they know what to do with, some have to work hard at finding inspiration. 10.The truth is that creativity is different for everyone and possible for anyone. You just have to want it, and you might have to work for it. Next Post Critical Thinking: The 5 Factors that Earn 5 Star Reviews! About half of these are true. Which ones are true depends on my mood. I know they are not all true at the same time. Nor are some as misleading as others. I really enjoyed this post. I do believe that some people are more artistic than others but everyone has an artistic streak in them. Some of us do develop it more because we are more interested in it. People usually excel at the things that interest them most. Great post, Karen! Thank you for sharing.